Your wait is over! 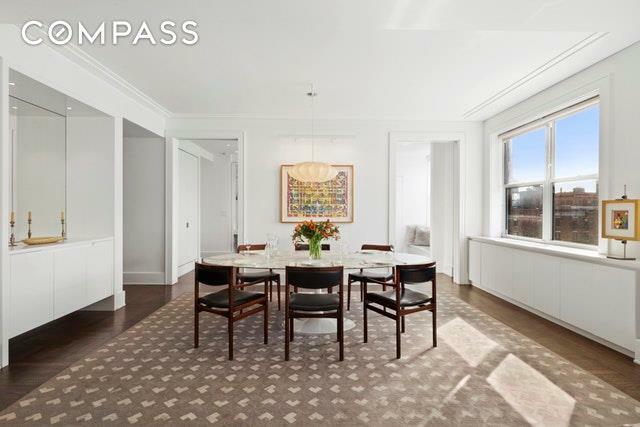 Captivating river vistas from every room, this stunning fully renovated home offers modern lines and a luxurious ease of living all within an elegant pre-war palate. 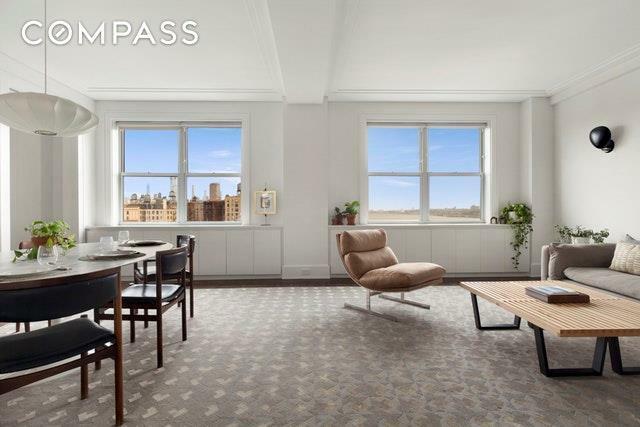 Hudson River and park views immediately capture your attention as you enter into the sun-flooded side by side living and dining room. Adjacent to the living room (and off the center hall) the library/office (and/or third bedroom) has ensuite full bathroom and closet. Smartly designed with top-of-the-line pocket doors offers supreme versatility to this room (as your needs) evolve.Appointed with top of the line finishes and appliances, this modern, inviting eat-in-kitchen will please the most discerning chef. The master bedroom suite, a true oasis, offers majestic views south and west of the Hudson River and park, his and her walk-in closets, and a spa-like windowed master bathroom. The gracious sized second bedroom has ample closet space and a fully renovated guest bathroom is located off the hall. No expense spared this property is a true standout. 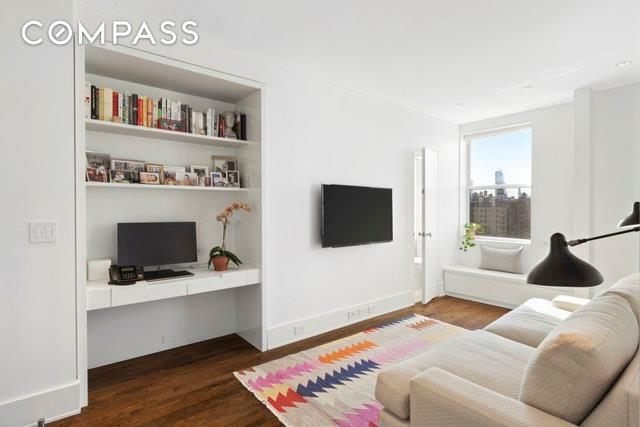 Additional important features include, washer/dryer, LED dimmable lights, California Closets, full-time doorman, beautifully appointed roof deck,charming children's playroom, bike and private storage (with small additional fee). No flip tax. 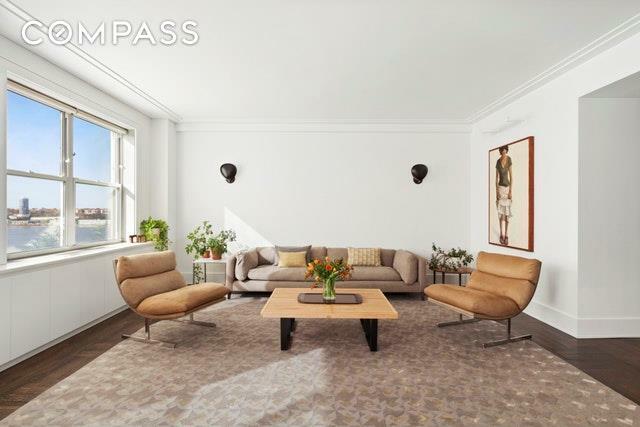 Listing courtesy of Maria Manuche of Compass.